Located in Oracle, Arizona, this 3.15-acre structure was built to be an artificial, materially-enclosed ecological system. It explored the possible use of closed biospheres in space colonization, and allowed for the study and manipulation of a biosphere without harming the Earth. 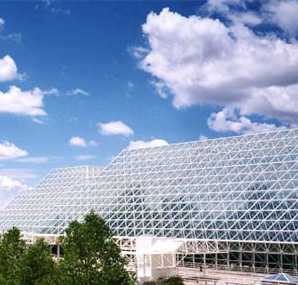 This glass facility is elevated nearly 4,000 feet above sea level and remains the largest closed system ever created. 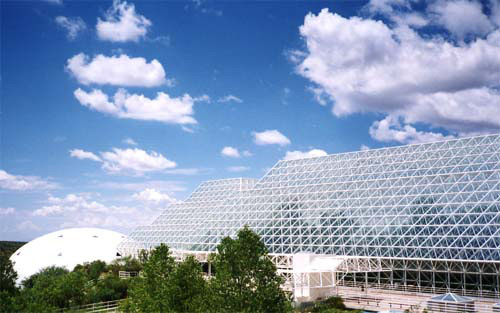 In May, 1987, Discover magazine quoted Biosphere 2 as being "the most exciting scientific project to be undertaken in the U.S. since President John F. Kennedy launched us toward the moon." 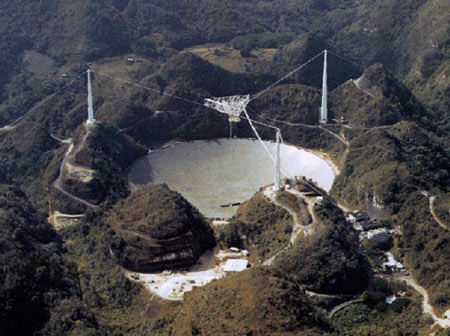 The Arecibo Observatory is a radio telescope located close to the city of Arecibo, Puerto Rico. The observatory's 1,001 foot radio telescope is the largest single-aperture telescope ever constructed. This telescope carries out three major areas of research: radio astronomy, aeronomy, and radar astronomy observations of solar system objects. 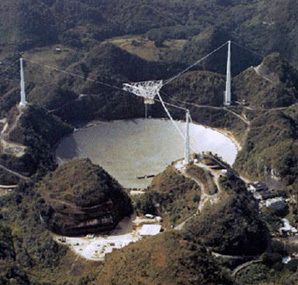 Its dish is the largest curved focusing dish on Earth, giving Arecibo the largest electromagnetic-wave-gathering capacity. 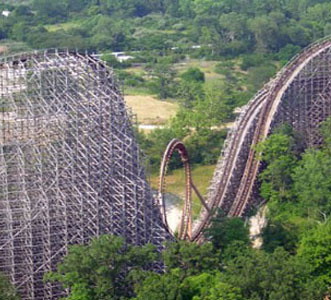 Located at King's Island in Mason, Ohio, "Son of Beast" is a record breaking wooden roller coaster. With a max speed of 78 mph, this roller coaster is the fastest wooden roller coaster in existence. Towering 218 feet above the ground, it is also the tallest wooden roller coaster. It is also the only wooden roller coaster to incorporate a loop, as seen in the image. 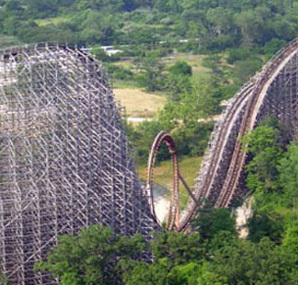 Stretching 7,032 feet, it is the second longest wooden coaster only to its predecessor, also located at King's Island. The Golden Gate Bridge is a suspension bridge spanning the Golden Gate, or the opening of the San Francisco Bay into the Pacific Ocean. 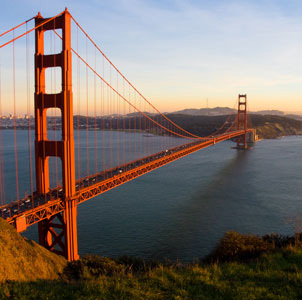 The Golden Gate Bridge was the longest suspension bridge span in the world when it was completed during the year 1937 and has become one of the most internationally recognized symbols of California and the United States. This bridge stretches 8,981 feet long, sits 746 feet tall, and spans 90 feet wide. 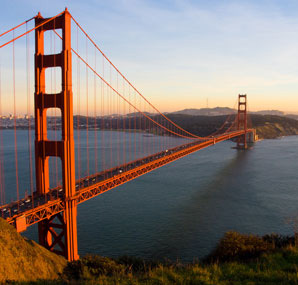 Chicago Nut & Bolt supplies custom fasteners for the constant refurbishing and maintenance of the Golden Gate Bridge. 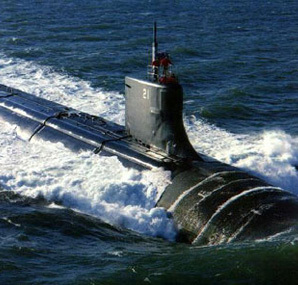 The Seawolf class attack submarines was the intended successor to the Los Angeles class, ordered at the end of the Cold War in 1989. This class currently consists of three 353 feet long submarines that were larger, faster, quieter, and more efficient than their predecessors. When submerged, these submarines can reach speeds of 35+ knots (40+ mph) and contain extensive equipment for shallow water operations, including a floodable silo capable of simultaneously deploying eight combat swimmers and their equipment. 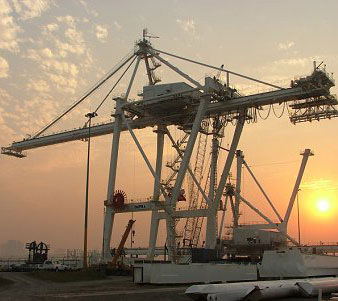 Chicago Nut and Bolt has provided the wide array of custom fasteners required for these massive cranes designed to load and unload container ships. 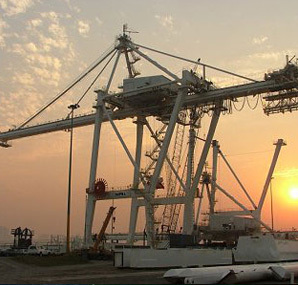 We have been involved in multiple locations including the Port of Long Beach, the Port of New Orleans, the Port of Baltimore, and several overseas locations. 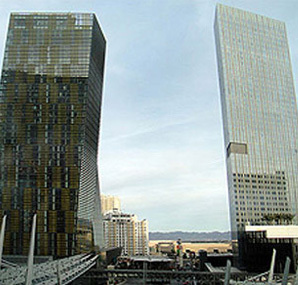 Located on the Las Vegas Strip in Paradise, Nevada, City Center 16,797,000 square feet mixed-use, massive urban complex on 76 acres. It is the largest privately funded construction project in the history of the United States. 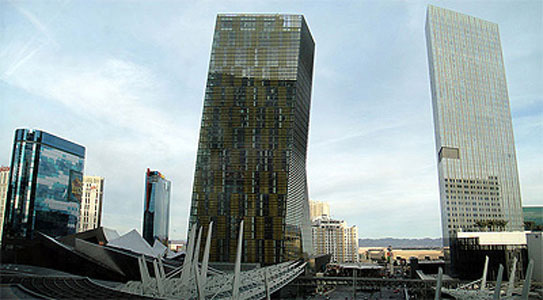 The complex features the Aria Resort & Casino, The Vdara hotel-condo complex, the Harmon Hotel, the Mandarin Oriental condominium-hotel, the Veer towers, and the Crystals, City Center's 500,000 square foot retail and entertainment district. 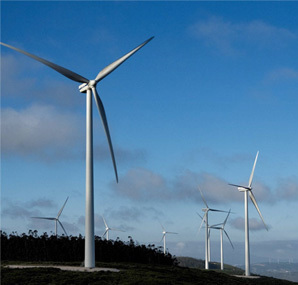 Wind Towers are wind turbines that use the wind to make electricity. Wind Towers have many environmental benefits. Wind power consumes no fuel, and emits no air pollution, unlike fossil fuel power sources. 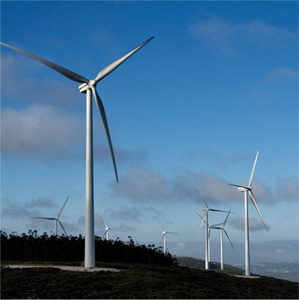 Utility scale turbines range in scale from 100 kilowatts to as large as several megawatts. Chicago Nut & Bolt has been involved in several wind tower projects across the nation as well as overseas.